Kendy Easley serves as Executive Pastor/Head of Staff at Bethany Community Church's six locations in the Seattle area. 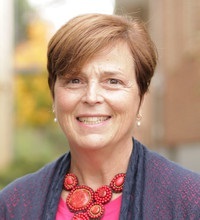 She led teams at Bellevue Presbyterian Church (2007–2015) and at Sammamish Presbyterian Church (2001–2007). Kendy holds an MDiv and an MA in Christian education from Princeton Theological Seminary, and a BA in psychology from UCLA. She also served on the Advisory Councils for the PTS Institute of Youth Ministry and Fuller Seminary's Christ & Cascadia Institute, focused on the Faith & Work movement and Cascade Fellows. Kendy met her husband, Tyler Easley while working as a pot-washer as a student at PTS. Tyler Easley, (who holds both an MDiv and ThM from PTS), they have two grown children, Maddie and Mason. Kendy has climbed Mt. Rainier, and she and Tyler rode from Seattle to Vancouver on a tandem bicycle in 2014. She also enjoys raising chickens, gardening, feasting, hiking and reading.